This student submission again comes from my former student Delaina Bazaldua. Her topic, from Algebra: approximating data to a straight line. Barney, one of the main characters, describes the graph as the Crazy/Hot Scale. According to him, a girl cannot be crazier than hot which means she has to be above the diagonal straight line. This relates to the topic because one can approximate data by the straight line that Barney gives the viewer. I think the students will be able to relate to this and also find it humorous. Because this video has both of these characteristics, they will be able to remember the concept for upcoming homework and tests which is ultimately the most important part of math: understanding it and being able to recall it. Most lines are drawn for the purpose of seeing if there is a relationship between the x and y axis and trying to figure out if you can approximate data from the straight line that is drawn. Graphs like this are found all over the news, and they often relate to natural disasters. 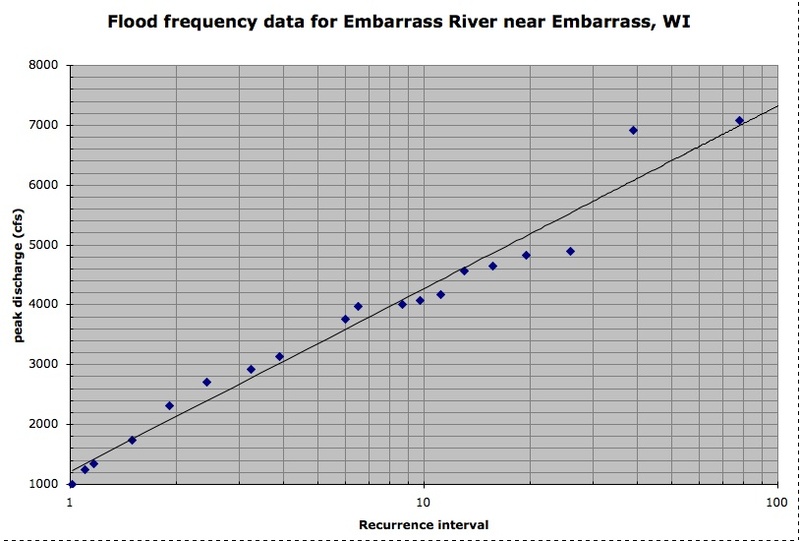 For example, this linear regression, http://d32ogoqmya1dw8.cloudfront.net/images/quantskills/methods/quantlit/bestfit_line.v2.jpg, describes floods. In http://serc.carleton.edu/mathyouneed/graphing/bestfit.html, where the picture is found, describes more activities that can be used to create a linear regression which can be converted into a straight line. These examples of straight lines can be used to find more data that isn’t necessarily shown from the points that are plotted. The examples the website gave are: flood frequency curves, earthquake forecasting, meteorite impact prediction, earthquake frequency vs. magnitude, and climate change. This is beneficial for math because it allows students to realize that math isn’t abstract like it is often perceived to be, but rather, it is used for something very important and something that occurs several times a year such as natural disasters and weather. One of the purposes for teachers to teach is for students to learn what they should for the following year so they can be successful in the particular topic. When it comes to approximating data based on a straight line, the knowledge a student learns in algebra will carry them through statistics, physics, and other higher math and science classes. Linear regression is shown in statistics as one can see in this statistics website: http://onlinestatbook.com/2/regression/intro.html while physics is represented in the physics website: http://dev.physicslab.org/Document.aspx?doctype=3&filename=IntroductoryMathematics_DataAnalysisMethods.xml. A lot can be predicted from these straight lines which is why these graphs aren’t foreign to upper level math and science classes. As I stated before, a lot can be predicted from the graph where data points aren’t necessarily on the trend the data is setting which allows students to expect what would occur at a particular x or y value. A background in this area can help students through the rest of school and perhaps even the rest of their life in some cases.